REVIEW: Omega Speedmaster "Dark Side of the Moon"
A single block of “zirconium oxide” (ZrO2) ceramic, also referred to as “zirconia” or “zirconium dioxide,” is heated to scorching hot 1400 degrees Celsius (or 2552 degrees Fahrenheit), hardening it and reducing it to the right size to transform it into a watch case. It is then so hard it needs to be machined with diamond tools. The case is then polished in a bowl of aluminum granules. And a band encrusted in diamond powder is used to satin brush the lugs and case body. Watch the process on video. Made of pure black ceramic, the tachymeter scale on the bezel has been engraved using laser technology and is filled with a matt chrome-nitride coating, which perfectly contrasts with the polished surface of the bezel. Thanks to the use of lightweight ceramic, the watch weighs just 90.4 grams — including the head, strap and buckle. In developing the production process for the Dark Side of the Moon case, Omega was initially working with an outside company, but in the end Nick Hayek Jr., CEO of the Swatch Group, made the executive decision to invest in bringing the entire process in-house. 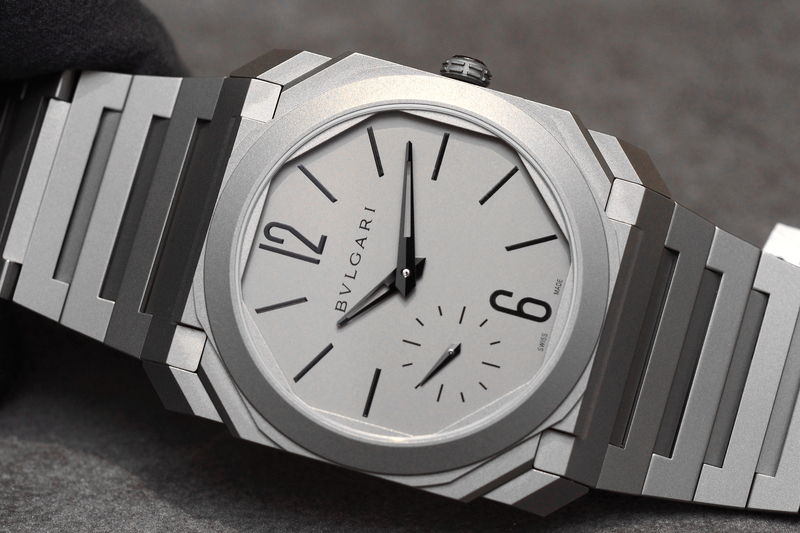 The result is an unprecedented, state-of-the-art ceramic wristwatch, currently unmatched by any other watch brand. What is so special about Omega’s ceramic technology? Not only are the monobloc case and bezel made of pure black ceramic, which others have done before, but also the chronograph pushers and crown, which are fully polished, are solid ceramic as well. Moreover, the dial, buckle, and caseback are made of pure ceramic, as well. The case body, which has a beautiful combination of satin-brushed and polished surfaces, measures 44.25 mm in diameter by 16 mm thick and 49.50 mm in length. This is by no means a small watch, it is a sports watch after all. But that does not mean it does not wear well. Thanks to the use of lightweight ceramic, the watch weighs just 90.4 grams — including the head, strap, and buckle. I wore it for over a week, and I can honestly say it wears quite well indeed. My wrist is approximately seven inches around, and while the case looks large, it is not massive. If you have smaller wrists than mine, it is going to look big. This is an aggressive, blacked out sports watch, so for many — this is exactly the point. At approximately 16 mm thick, the watch is quite tall. Which begs us to ask the question: Why did Omega use a box-type sapphire crystal on the caseback? It looks cool, yes, and we love the tall domed glass on the front of the watch, but it seems superfluous to use on the caseback, as it adds at least 2 mm to the overall thickness. We hope to see future iterations with a slightly thinner profile. 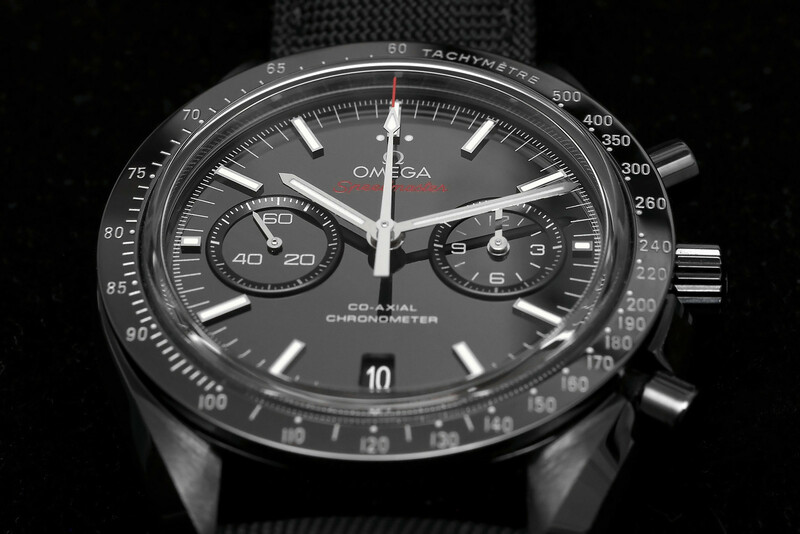 When you first see the dial of this watch, you instantly realize it is unlike any other previous Speedmaster dial. The dial is crafted from the same zirconium oxide ceramic alloy as the case, and is fully polished, perfectly matching the polished bezel, crown, pushers and lug edges. At some angles, the finish looks like steel the has been treated with PVD. But when the light hits the polished surfaces just right, you know you are looking at something totally unique. If you are wondering if the reflection of the polished ceramic surfaces can be too bright to look at in certain instance, particularly the dial, as we were. Then don’t worry, we took it out in New York on some very bright sunny days, and while it does have a glow to it, the readability was always excellent. Protecting the dial, and protruding above the bezel is a highly domed box-type sapphire crystal that has a double anti-glare treatment for clear visibility in all lighting conditions. To set the dial apart, and ensure excellent readability, the indexes; and hour, minute and chronograph hands, are all in 18K white gold. This creates a subtle, luxurious contrast without ruining the sporting nature of the watch. Additionally, the indexes, the two dots on each side of the 12 o’clock marker, as well as the hour, minute and elapsed chronograph second hands — are treated with white Superluminova for excellent visibility in all lighting. As we mentioned above, thanks to the caliber 9300’s unique configuration, the 12-hour, and 60-minute counters reside in a single, easy to read subdial. This is a feature that cannot be underestimated, especially if you actually plan to use the chronograph function. Most chronographs are hard to read, because they use multiple subdials, and many times only count 30-minute intervals. Invented by the late watchmaking legend George Daniels in 1974, the Co-Axial escapement was patented in 1980 and first commercialized by Omega in 1999. Omega’s caliber 9300 is a technological tour de force. In addition to the Co-Axial escapement and free sprung balance wheel, the balance spring is made in silicon Si14, which is anti-magnetic and further adds to the watches timekeeping accuracy. 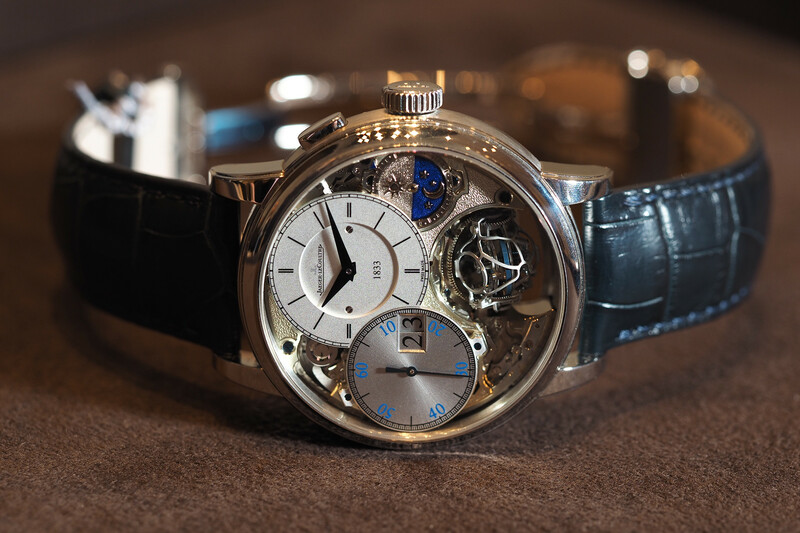 The balance spring, also commonly referred to as the heart of a mechanical watch, is traditionally made of metal, which therefore makes it vulnerable to magnetic fields. By producing the spring from silicon, it becomes invulnerable to magnetic fields, not to mention, it also increases the shock resistance. Its chronograph actuation uses a column-wheel with a vertical clutch coupling, which is better than a horizontal coupling for two reasons: 1- it allows the chronograph seconds hand to begin moving immediately with no initial stutter and 2- the amplitude of watch is much more stable. Consequently, the pushers are very smooth, some of the best we have used. Notably, setting the watch is easy, due to a hacking second feature and a jumping hour hand that allows it to be set in 1-hour stops. As if the chronograph movement doesn’t already have enough unique features, that is not all. The 12-hour and 60-minute counters are in the same subdial, which is just plain awesome when using the stopwatch function as opposed to using separate subdials. Omega’s in-house caliber 9300 beats at 4Hz, has 54 jewels and its special double barrel configuration not only ensures 60-hours of continuous operation, it also minimizes the loss of accuracy due to decreased torque as the barrels unwind. Caliber 9300 is in our opinion, one of the best serial automatic chronographs currently in production. And while it is nice to see the use of silicon for the balance spring, we look forward to seeing Omega’s other anti-magnetic components make their way into the Speedmaster movement. And according to Omega CEO, Stephen Urquhart, it eventually will, as all future Co-Axial caliber will soon be equipped with the full anti-magnetic assortment. Each Dark Side of the Moon timepiece comes with a specially made nylon fabric strap with red contrast stitching and a leather backing. Straps are increasingly a point of focus as brands look for more ways to differentiate their timepieces and offer consumers more comfort and durability. The buckle is made of black ceramic that is fully polished and engraved with the Omega symbol. Although I did not have the ability to test the long term ability of the strap, it is obvious that much care was put into its production. It is very comfortable, and overall it is an excellent strap. 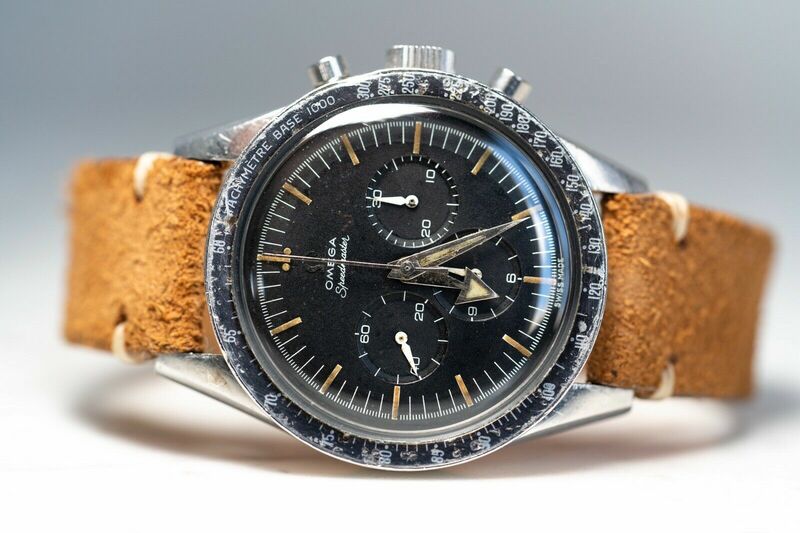 A Speedmaster has the historical significance of being worn to not only the far side of the moon, but also on the moon, and maybe most notably: it was worn on Apollo 13 and used to manually time re-entry when the ship’s systems failed. And it has been on the wrist of astronauts during numerous space missions ever since. Thanks to the use of cutting edge materials, and a movement that epitomizes modern mechanical chronometry, this next generation Speedmaster is a watch that you can always depend on, whether you are traveling to the far side of the moon, or here on Earth. The retail price is $12,000.